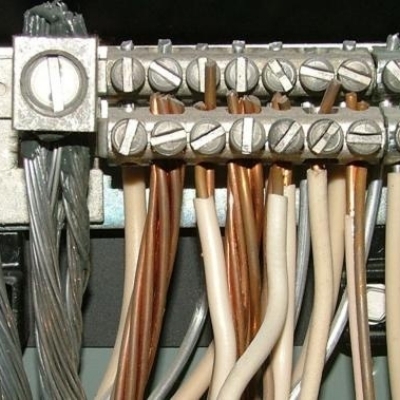 This is Part 2 of our electrical safety check series. We hope you enjoy it. Feel free to use this material to assess your home whether you've just moved in or lived in it for a few years. You’re going to want to make sure there are GFCI (ground-fault circuit interrupter) outlets in your bathrooms, kitchen, garage, unfinished basement, outdoors, and anywhere else there is a sink or is near water. Test and reset each one every month. Next, see how many amps you have running through the service panel. A 200-amp service will mean you can run several large appliances at once. A 100-amp service means you will have to be careful; if you’re using your oven and the water heater, you’ll be pushing your service if you use the toaster, vacuum, dehumidifier, or any other energy-hungry appliance. Take a moment to locate the main power shutoff switch and show everyone in the family where it, and the water main shutoff are located. Buy your baby some outlet covers!